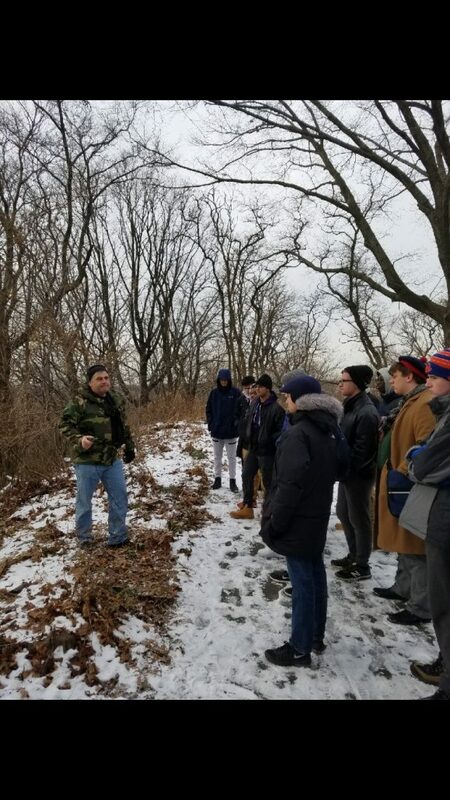 On December 15, 2017, Mr. Sammarco ’10 led his History of New York City class on a walking tour through parts of Brooklyn to visit the battlefield and memorials of the Battle of Brooklyn, which took place on August 27, 1776. 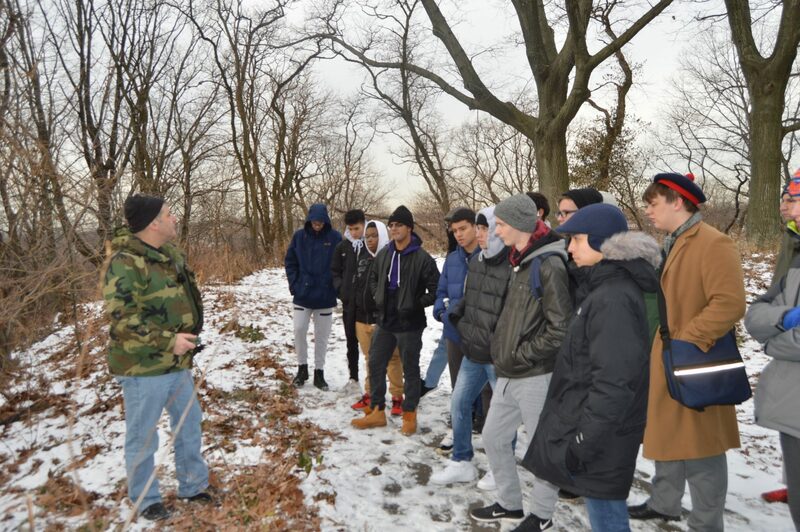 On the walk, they discussed battle tactics used during the event on Lookout Hill in Prospect Park, with a talk led by, alumnus, Col. Peter Sammarco, ’74. They also visited the Maryland 400 Memorial to discuss the bravery and sacrifice that those troops gave to save the Continental Army. They continued to walk along the Battle Pass, where one of the main parts of the Battle took place on that day in August, 1776. In addition to visiting the battle sites, they stopped at St. Joseph‘s Co-Cathedral where the rector, Msgr. Kieran Harrington, ‘89 gave them a tour of the cathedral. They ended their day of walking at 555 Washington Avenue, where it all began…Brooklyn Cathedral (1914-1985). 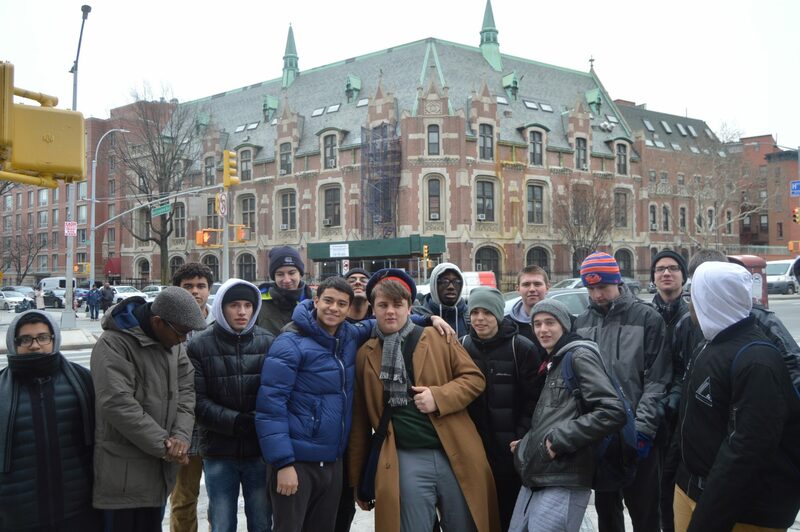 The Seniors learned a lot about their own local history and braved the elements to learn from two fellow alumni!